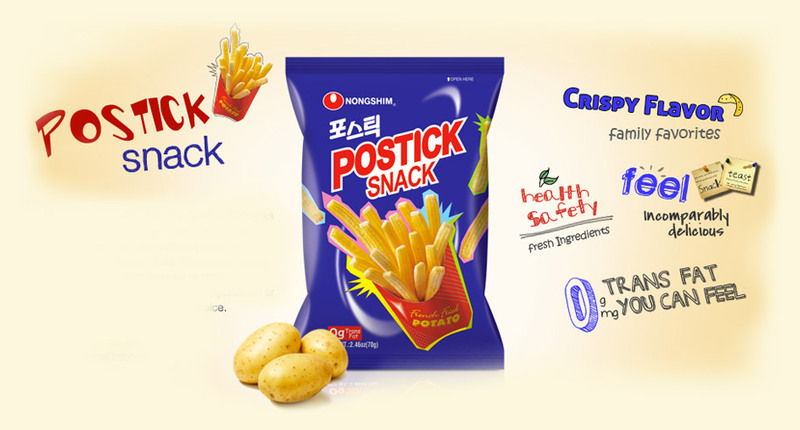 Postick Snack are potato flavored stick snacks that taste and are shaped like French fries. Potatoes and flour are battered together to create a fresh potato taste. This snack allows you to enjoy the simple taste of potatoes and can be garnished with ketchup, mayonnaise or any other condiments of your choice.